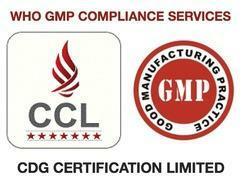 WHO GMP Compliance Certification is one of expertise of CDG Certification Limited. Please contact us for WHO GMP certification in India. Who GMP Certification in Delhi Mumbai Kolkata India. 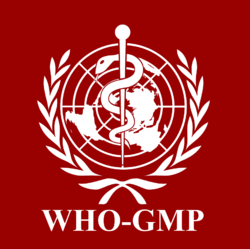 Who GMP Certification Services. We are a leading organization of the industry, dedicatedly engaged in offering an optimum quality array of WHO GMP Certification Services for our esteemed customers. Good manufacturing practice (GMP) is the part of quality assurance which states that products are consistently produced and controlled to the quality standards during production appropriate to their intended use and as required by the marketing authorization. Good manufacturing practice (GMP) is a system for ensuring that products are consistently produced and controlled according to quality standards. It is designed to minimize the risks involved in any pharmaceutical production that cannot be eliminated through testing the final product. The main risks are: unexpected contamination of products, causing damage to health or even death; incorrect labels on containers, which could mean that patients receive the wrong medicine; insufficient or too much active ingredient, resulting in ineffective treatment or adverse effects. GMP covers all aspects of production; from the starting materials, premises and equipment to the training and personal hygiene of staff. Detailed, written procedures are essential for each process that could affect the quality of the finished product. There must be systems to provide documented proof that correct procedures are consistently followed at each step in the manufacturing process - every time a product is made. WHO has established detailed guidelines for good manufacturing practice. Many countries have formulated their own requirements for GMP based on WHO GMP. Others have harmonized their requirements, for example in the Association of South-East Asian Nations (ASEAN), in the European Union and through the Pharmaceutical Inspection Convention. We help you in compliance with WHO-GMP guidelines. We provide Who GMP Certification services to our valued patrons. GMP is a term that refers to the Good Manufacturing Practice Regulations promulgated by the US Food and Drug Administration under the authority of the Federal Food, Drug, and Cosmetic Act. Further, systems and equipment used to prevent contamination, mix-ups, and errors are adequate by today's standards.